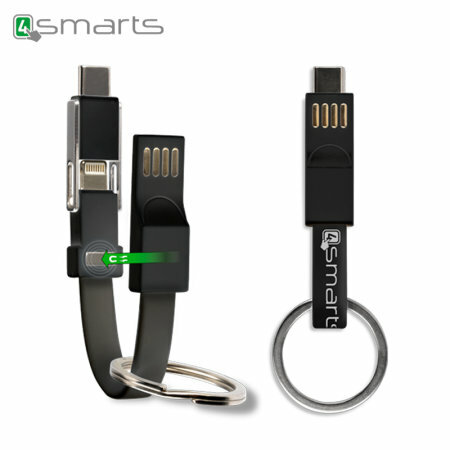 The 3-in-1 Mini KeyRing from 4smarts combines Lightning, USB-C and Micro USB connectors into a compact cable with a magnet closure. This is the ultimate little keychain cord. The USB C functionality is what sold me on it. Great addition to any keychain. Very intuitive, handy piece of kit. Arrived promptly. I am very pleased with the power bank. Would definitely recommend this item as the bank keeps it's charge for long periods , once charged up. Ideal where you are using a portable power bank to recharge your phone or tablet. 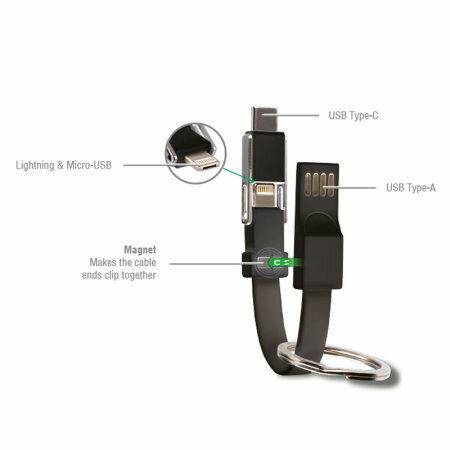 The 3-in-1 Mini KeyRing from 4smarts combines Micro USB, Lightning and USB-C connectors into a single cable. 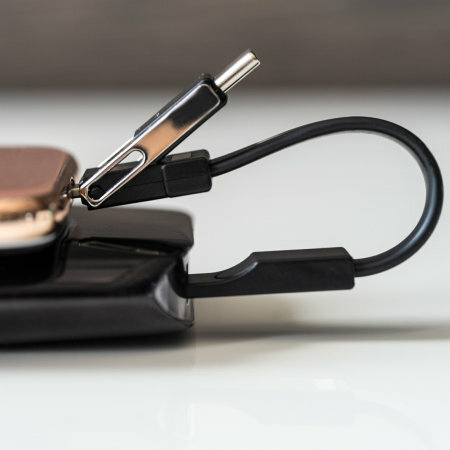 Lightweight and and super-functional, the 4smarts Cable KeyRing consists of three different connectors to cover virtually every smartphone currently on the market. Never be without a charging solution again with this pocket-sized yet formidably feature-rich cable. This extra short cable is only 5cm in length ensuring tidy operation at your work desk, or hassle-free transportation whilst travelling. It will also greatly improve safety within the office or at home, by eliminating the possibility of a trip, which is an issue for long cables. Shorter cables also provide more reliable power. The 4smarts Cable KeyRing features a magnetic closure, allowing you to clip the ends of the cable together. This gives the cable a compact form factor perfect for transporting anywhere you may need to go, as well as storage when not in use. Furthermore, the magnetic ends of this cable reduce the likelihood of damage - you won't need to wrap this cable up and there's no chance of tangling either. 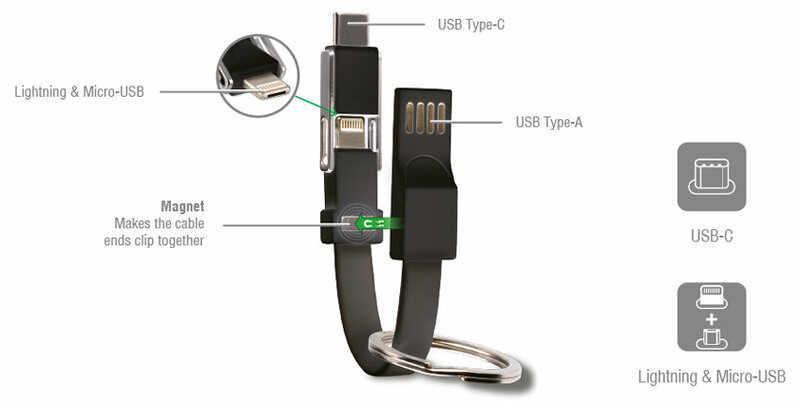 This item features a removable key ring which not only protects the connectors (ports) of the cable, but also lets you transport it easily. Due to its modern design and low weight, it can be attached to your keys or a backpack, making sure it is always there when you need it.